Check-out this item when you get it if you can. CAT# 50HA2E1. 2 PUSH BUTTONS. "STOP" "START". MODEL HF221N. FUSIBLE (Fuses not included). 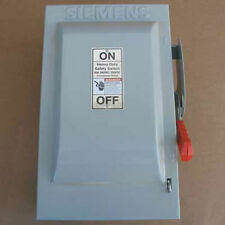 NEMA 1 ENCLOSURE. HEAVY DUTY SAFETY SWITCH. All products represented by Mainland Valve & Fitting, Inc. that is noted as surplus are surplus and are not represented by any manufacture. 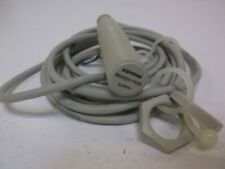 SIEMENS 3SG3234-7NJ33 PROXIMITY SWITCH *NEW IN BOX*. SAFETY SWITCH, 3P, 30A, 600V. HF222N new in the box. ILLUMINATED PUSHBUTTON WHITE. 110V LED 1 N.O. - 1 N.C. If you require any liftgate services. Position Switch. Connection M20 x 1,5. Type of sensor limit switch. Location: 40 ft Trailer, Blue Motor Rack#1, Bin#29. All switches are provided with highly visible "ON" and "OFF" indicators and padlocking provisions on the handle and door. All switches are UL listed and are suitable for copper and aluminum wire. Fuses not included on fusible devices and accept Edison base plug fuses. ITEM LOCATION T1 A. PICTURES ARE OF ACTUAL ITEM BEING SOLD. Number 3SB3 648-6BA30. Our standard size is 1.75" x 1.875" but we can made any size needed. Good luck. Here are a few things you can do to protect yourself. This is a 30 Amp, 2 Pole, 240V, Fused W/N Type 3R GD. Visible blade, double-break switch action. Health & Beauty. What's in the Box: One Safety Switch. Sporting Goods. Condition: New. 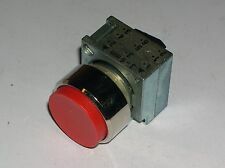 Keep your pushbuttons in good working order with accessories that replace, extract, support and guard your pushbuttons. Here is some additional information about Siemens Legend Plate. Material: Aluminum..
SONAR PROXIMITY SWITCH. UB: 20.30 VDC - SD: 6.30 CM. Need it ASAP but the price just isn’t right?. View all photos. Inventory #. On/Off O/I Black Extended Rotary Handle. (Lot of 9). Lot of 20 New Authentic Siemens Black Push Button Switch Model 3SB30000DA11. Lot of 20 ! Authentic and Genuine. Located in Bin 60 Bag 5. What you see in the picture is what you get. Nothing else is included! Usually quicker. Make sure it is exactly what you are wanting. LOW PRICE! This switch is 6 pole and rated for 20a at 600v. Main Disconnect Switch. The original instruction manual and finger guards are included. Every effort is made to note any missing hardware / manuals / inserts from NIB and NEW products, however, in most cases it is not known what was originally included. We are always buying! We primary injection test and secondary test all breakers that are listed as tested. Catalog No: HF361R. Volts: 600. Catalog # HNF361. NEW IN BOX . 10-30 vdc M30 15mm Flush PNP with hardware and print. Catalog No: HNF363R. Model: HNF363R. Disco Type: NonFused. 1 POLE TOGGLE Switch. LOT OF 2 - NEW IN BOX. Indoor Enclosure (Type 1). Plug Fuses Only. Breaker Type: ED4 ED6 HED4 HED6. Catalog No: SE6. Volts: 480. If you are not able to pick up locally, we are able to get competitive freight quotes as well. Item: Single Throw Safety Switch For Use With: Plug Fuses. Number of Wires: 2. Width: 5.9". Duty: General. Depth: 5.4". Number of Poles: 1.